Tubmanburg, Liberia – In 2014, the most widespread epidemic of the Ebola virus disease hit western African countries like never before. Many people feared the epidemic would cause total mayhem. Some countries have encountered difficulties controlling the epidemic, but in the city of Tubmanburg there’s a chance at a new life. 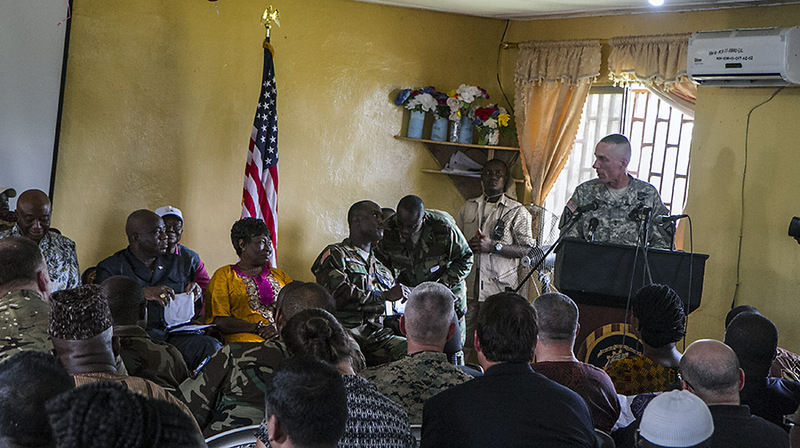 The first Ebola treatment unit opened in Tubmanburg, Liberia, due to the efforts of the Armed Forces of Liberia in partnership with Operation Onward Liberty, November 10th. Operation Onward Liberty is a U.S. military-led team who mentors and advise the AFL in order to develop a national military that is responsible, operationally capable, respectful of civilian authority and the rule of law, and is a force for good among the Liberian people.